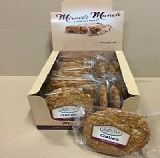 Buying Oaties, look no further high quality hand made Oaties / Cookies range wont disappoint. We offer several deliciously wholesome Oaties & Cookies. Original Plain Oatie - A delicious combination of pure butter with brown cane sugar and wholesome jumbo oat flakes. Crisp bite, sweet taste and soft chewy oat texture. (2 x 12) Twin Pack perfect for on the go or at home. Chocolate Chip & Cranberry Oatie - As delicious as our plain oatie with the addition of yummy choc chips and sweet dried cranberries. Crisp bite, sweet taste with the melt of oats and chocolate and extra chew with sweet sweet cranberries. Yum! 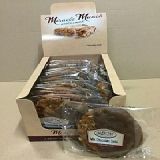 (2 x 12) Twin Pack perfect for sharing, on the go or at home. Milk Chocolate Oatie - Our original Oatie made larger dipped and covered in a layer of high quality milk chocolate, to avoid mess hold by the uncovered side. Soft bite melts in mouth, soft chewy sweet sweet tasting. This one is to truly indulge!! (1 x 20) Single packed this one wont be shared. Perfect anywhere anytime. Contains Oates, Wheat & Milk products. Store in cool dry place & away from direct sunlight.